Coolstructures Inc EPS is a closed cell, lightweight, resilient, foamed plastic composed of hydrogen and carbon atoms. EPS has a compressive strength of 10-60 psi for most construction applications. Within that range Coolstructures EPS can be molded to meet specific application requirements. Coolstructures EPS insulation (1.0 pcf) provides a typical R-value of 4.17 per inch (k-factor=0.24) at a mean temperature of 40°F, and a typical R-value of 3.85 per inch (k-factor=0.26) at a mean temperature of 75°F. The higher the R-value, the higher the insulating effect. When properly installed and protected from moisture, the R-value of Coolstructures EPS insulation remains constant. The R-value will not decrease with age. As a result, the thermal resistance, or R-value of Coolstructures EPS may be used without any adjustment for aging. and 97% of its thermal efficiency. Coolstructures EPS is able to withstand the abuse of temperature cycling, assuring long-term performance. In a series of tests core specimens removed from existing freezer walls, some as old as 16 years, demonstrate EPS freeze thaw cycles without loss of structural integrity or other physical properties. Coolstructures EPS possesses the physical and mechanical properties ideal for most insulation specifications. Our EPS insulation is easily fabricated to meet specific design and dimensional requirements. Coolstructures manufactures its EPS under strict proprietary protocols. Quality control is assured through our state-of-the-art expanding, molding, and curing facility. Coolstructures uses only UL approved raw materials. There are no exotic blowing agents or volatile chemicals that may react negatively with other materials. The end result is an absolutely superior insulating core, that is user-friendly and has excellent thermal resistance and thermal conductivity values which are long lasting. Further, because of its light weight, it is easily shipped, stored, handled and installed on the job site. Due to its design flexibility and versatility, it can be cut into sheets, slabs or any design requirement to meet specific building code standards. There are millions of linear feet of Coolstructures EPS in use today that remain problem free for building owners, insulation contractors and refrigeration engineers. Specify Coolstructures as your choice. Flame Spread and Smoke Development recorded while the material remained in the original test position. Surface Burning Characteristics derived from ASTM E-84 are not intended to reflect hazards presented by this product under actual conditions. The manufacturer in no event assumes liability beyond the purchase price or replacement of material proven to be defective and reported in a timely fashion, but not longer than six (6) months after shipment. Only the senior executive of PermaTherm has the authority to alter or extend these conditions. PermaTherm’s EPS products were tested by Underwriters Laboratories, Inc. and meet the requirements of the Standard Mechanical Code and the International Mechanical Code. EPS insulation is an inert, organic material produced from petroleum and natural gas by-products. EPS insulation does not contain ozone depleting chlorofluorocarbons (Clefts) or hydrochlorofluorocarbons (HCFCs). It is manufactured with hydrocarbon blowing agents. It provides no nutritive value to plants, animals or micro-organisms. It will not rot, and is highly resistant to mildew. EPS is recyclable. After its original life as insulation, EPS could be recycled into a variety of consumer products. Many EPS molders have been reprocessing their own in-plant scrap for many years. An infrastructure for the collection of EPS is being developed, making it possible to produce products containing post-consumer recycled EPS materials. EPS molders can now provide you with a place to return scrap EPS construction insulation as well as offer recycled content products when specified or desired. In addition, when disposed of through incineration EPS foam functions as an energy source contributing more than 15,000 btu’s per pound as additional fuel. The products of complete combustion are carbon dioxide, water vapor and trace quantities of nonhazardous ash; similar by-products are produced when wood is burned. When landfilled, EPS does not biodegrade. It will not create methane gas or leachate, materials known to be harmful to air quality and ground water. EPS insulation does not contain ozone depleting chloroﬂuorocarbons (CFCs) orhydrochlorofluorocarbons (HCFCs). For foundation and wall applications in which EPS insulation board provides reasonable absorption of building movement without transferring stress to the outer skins at the joints. Type I EPS (1 lb/ft³) material provides the dimensional stability and compressive strength necessary to withstand light roof traffic and equipment weight at reasonably high surface temperatures. If greater rigidity and strength are needed, compressive strengths up to 60 psi are available. For recommendations, consult your with your Coolstructures Inc representative. ASTM C578-07, HUD Use of Materials Bulletin #71, and DOE/RCS Standards. requirements. Further, because of its light weight, it is easily stored, handled and installed on the job site. R-value when used in conjunction with an air space. Prefabricated EPS core panels with metal facings are also available for wall and roof applications. 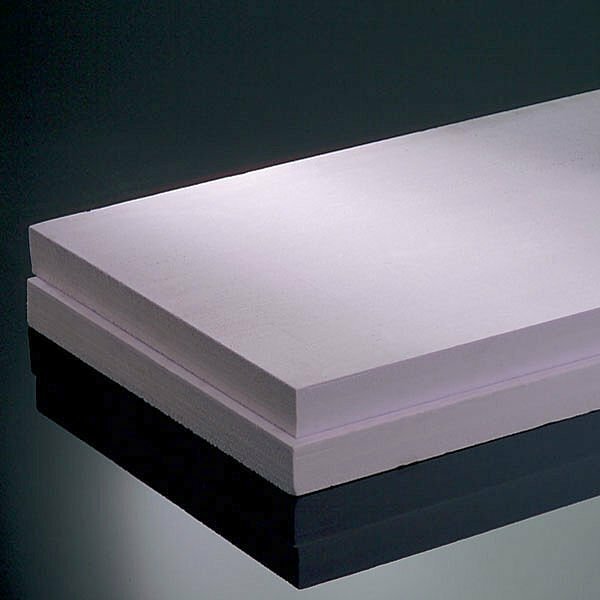 EPS insulation is available in thicknesses ranging from ½” to 24”, widths up to 48” and lengths up to 192”. Widths for the cost of the R-value per inch of thickness. Accordance with applicable building code requirements. EPS is subject to attack by petroleum-based solvents. Care should be taken to prevent contact between EPS and these solvents or their vapors. Protected with a light-colored opaque tarpaulin. Although EPS provides a high level of moisture resistance and breathability, recommended design practices for walls and foundations should be followed in the selection of vapor and moisture barriers for severe exposures. Moisture in accordance with good building practices. Insulation exposed to moisture should be replaced or thoroughly dried prior to application of finish or covering. Contact with EPS insulation. Avoid contact between EPS and high-temperature equipment, such as asphalt kettles and flame sealers. EPS products are manufactured with a fire retardant; however, EPS insulation will burn upon exposure to an adequate source of heat or flame. EPS should be kept away from flame or heat sources, including, but not limited to, open flames, welder’s torches, or other sources of heat. Once ignited, EPS will burn with intense heat and smoke. It is the responsibility of the purchaser to warn all of those who may be in contact with EPS insulation about the need to adhere to these requirements when the product is stored on the jobsite. EPS insulation should not be used in exposed applications.